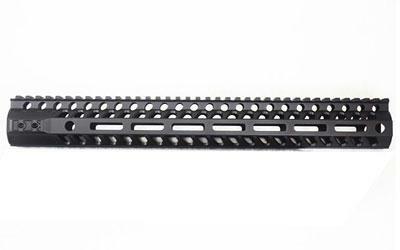 2A Armament Aethon M-LOK Rail 10"
Home > AR-15 Parts > Rails and Handguards > 2A Armament Aethon M-LOK Rail 10"
The 2A Armament Aethon M-LOK Rail for AR-15 is a lightweight free floating handguard made from 6061 aluminum and uses an innovative 6AL-4V titanium barrel nut for a solid foundation. The rail is easy to install as the barrel nut does not require to be timed. The top picatinny rails are pocketed to reduce weight. The sides and bottom of the rail have M-LOK accessory mounting slots. Aethon rails also have QD sling mounting pockets at both ends of the handguard. Made in the USA. 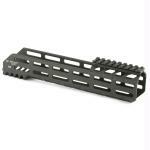 Battle Arms Development Rigidrail Handguard M-LOK 9.5"